If you are facing low water pressure in your water lines, it might be necessary to test the water pressure by use of a water spigot outdoors. Often clogged pipes can lead to poor pressure of water in your pipelines. When you have had new pipes replace old ones, but still find a water pressure to be low, you need to check the water pressure by use of this tool. If you are unaware of how to check water pressure, you could ask an expert plumbing service to come in and do the tests as well as understand why the low pressure is being caused. The water pressure reading of 45 to 55 psi is usually ideal. The pressure gauge needs to be connected to an outside water spigot and when you turn on the water flow you will get the pressure reading. If the reading is low, this can be an indication to call in the expert services. If you are sure that a water booster will help increase water pressure in the pipes or you have gotten the advice of a licensed plumber, you might be on the lookout for installing a water pressure booster. It combines with the water flow that is coming in from the streets and increases the pressure with the help of an electric pump along with a pressure tank. There is a dial on top that adjusts the pressure to the ideal setting. The tank can hold reserves of water so that the pump does not have to run all the time when water lines are used. It also helps to boost the flow when demand is high. While pressure boosters are available for purchase online, you might want to leave it to the expert plumber at A Better Plumber to provide the unit. However, you can ask for features of the different units available in the market and understand the rates and the advantages of each to know which unit would be ideal for your home. While some experienced home owners are able to install a water pressure booster in their home, it is best to get an experienced plumber to do the installation. 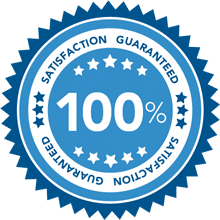 Again, these components come with a guarantee and in case of any problems you would need repairs or replacements to be provided. Usually the plumbing service that performs the installation will look into any malfunctioning or replacement requirements. A well installed water pump booster will last for a long time and need no intervention. However, you need to have a reliable plumber to fall back on when malfunctioning is noticed or when the booster unit needs replacement. A Better Plumber provides a guarantee of their work as well.